The search continues. 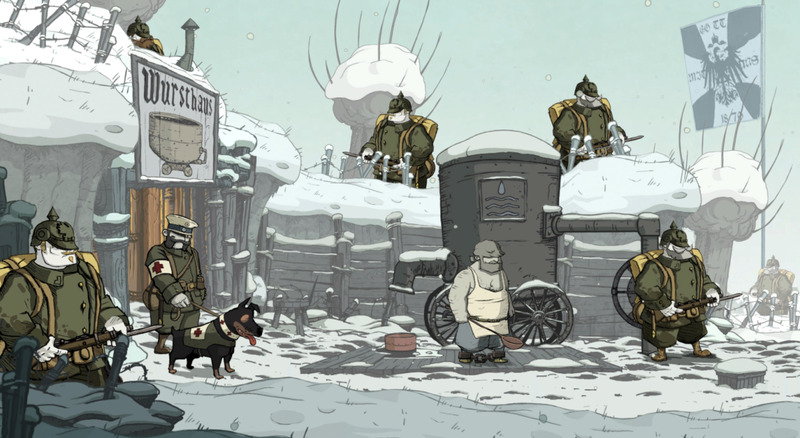 Though they're no more abundant than in the first chapter, there are still dozens of historical items to be found in Chapter Two of Valiant Hearts. They're also a bit tougher to find this time around, and you'll need to use some creative thinking to track them all down. ... or you could cheat, and look at the list below. That works too. Ink Well - In a cabinet in Anna's living room. Letter from a Belgian Civilian in Paris - Just outside the exit of Anna's apartment, sitting on a table. Broken Watch Strap - Look at the far right building from Anna's balcony. You'll see two pigeons sitting on a ledge beside the Strap. 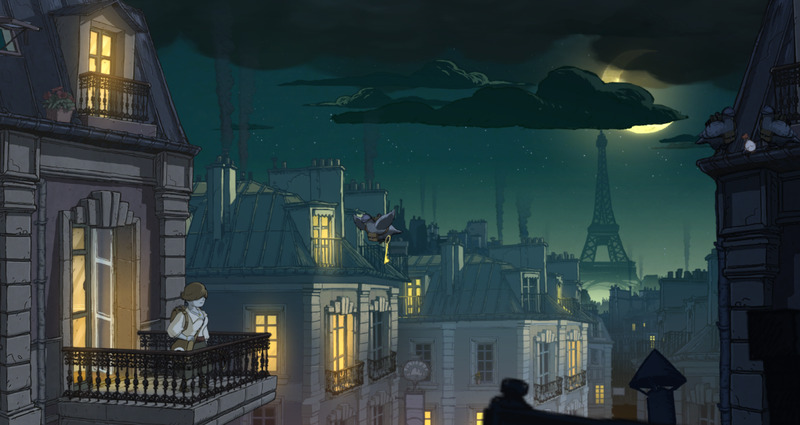 Hurl coal at the pigeons to knock the Strap down, then leave the apartment and pick it up on the street. Newspapers - Run all the way to the right side of the screen. The Newspapers are sitting beside a sign. Nurse's Manual - On the left side of a half-felled tree in the army camp. It's hidden behind a horse's head in the foreground. Tallow Socks - In a tent with a wounded soldier who needs to be sawed. Check a nearby locker to find the Socks. Shrapnel Shell Remnants - Wander to the left of the camp. The Remnants are out here. Lice Comb - Located at the faaaaar right of this area, just past the soldier who wants a sling for his arm. Mess Tin with Holes - Keep your eyes open for a truck bearing the sign of the red cross. The Tin is beneath the truck. Letter from a Prussian Soldier - On the right side of camp is a bridge over a sea of bodies. Climb down the ladder beside the bridge and search the left side of the pit for the Letter. 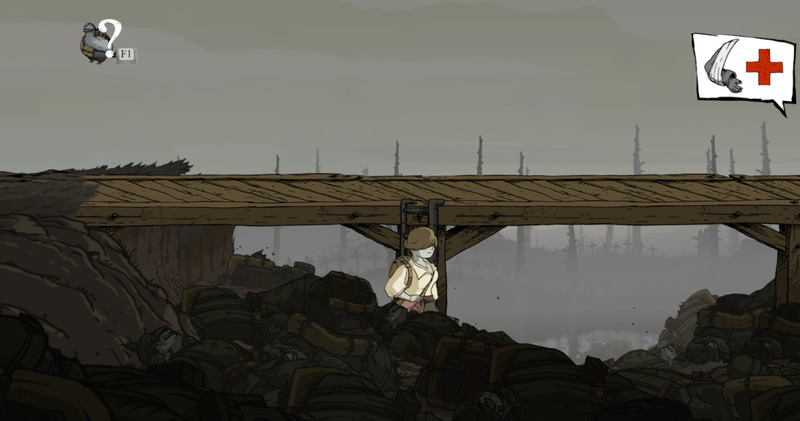 Anna picks through a heap of dead soldiers in Marne in Valiant Hearts. Wooden Top - Enter the first building on your right and climb up to the second floor via the courtyard. Perform first aid on the woman up here and she'll give you the Top. Letter from a Scottish Soldier - In the courtyard of the building where you found the Wooden Top. Smash through debris to the left of the tree to find the Letter. Broken Walking Stick - After bringing the huge bell down through the church and smashing the floor you'll wind up belowground. Save a man on a floor above you from gas by pulling a nearby lever, then perform first aid. He'll give you the Stick in gratitude. Bed Pan - Climb to the third floor of the large house at the end of this level. The Pan is in a cabinet on the right side of the floor. Stereoscopic Camera - Located in the shed behind the large house. After unlocking the door, check behind the half-fallen painting beside the entrance. Chemical Formula - In a cabinet in the underground lab below the shed. Virgin Mary Statuette and Case - After infiltrating the forest and being forced to hide, proceed until you're between the first and second soldiers. The Statuette is hidden here. Letter from a Soldier - Proceed through the area until you reach a sizable portion of the zeppelin wreckage through which you must walk. The Letter's in here. 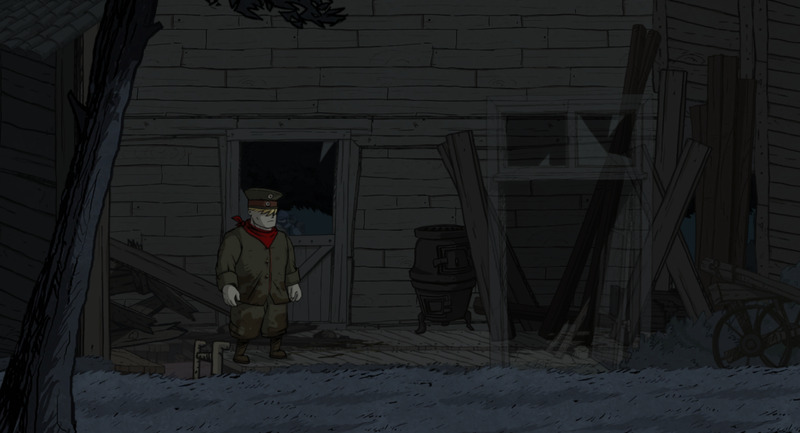 Broken Pistol - Wander through the forest until you find Karl pinned beneath part of the zeppelin. Look to the right of where he's trapped to find the Pistol on the ground. 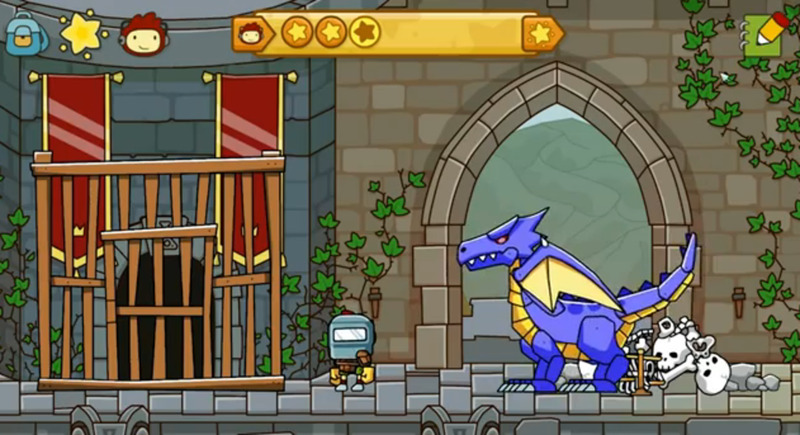 Dart - While trying to save Karl, climb the debris until you reach the top-left platform in the wreckage. The Dart is up here. 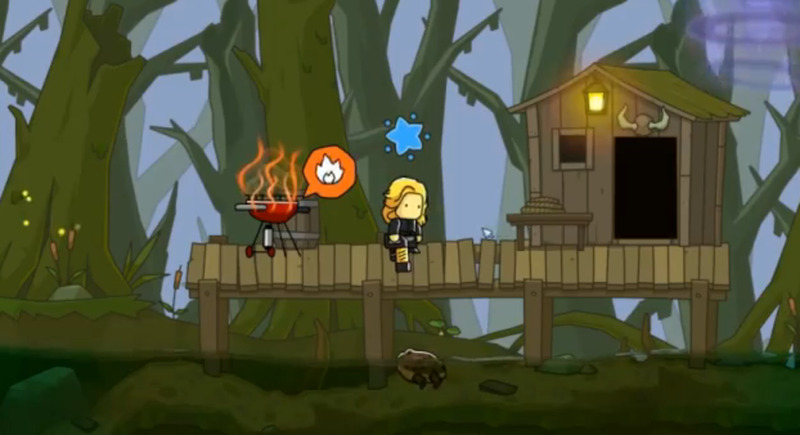 Shell Mechanism - Once you have control of Emile, proceed through the forest until you're forced to split between Emile and Freddie. Jump to Freddie and look to the left a short ways to find the Mechanism beside a leaning tree. Sterilising Solution - Near the end of this section you'll dam up a small river. Once you do, backtrack with Emile and check the mud for the Solution. 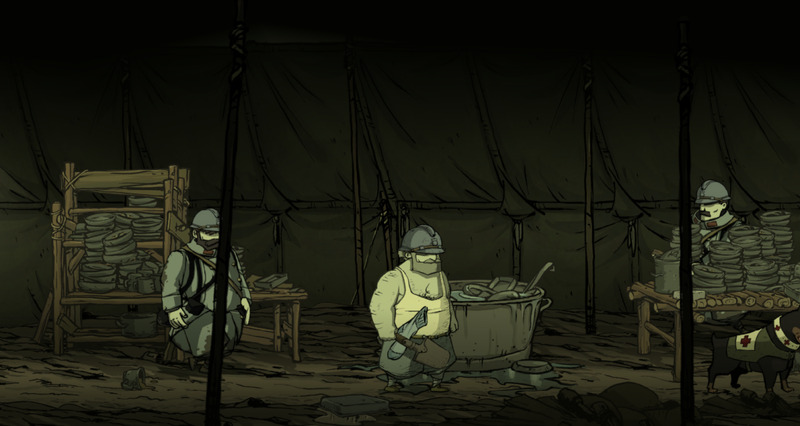 Emile wanders through a washing tent in Valiant Hearts. Tobacco Case - In the supply depot to the right of where you start, in the same place where you find an ink pot. Look near the stove where you have to heat a pair of socks. Card Game - At the top of the trench, near the barbed wire where you find the dirty sock. Officer's Whistle - After Freddie is joined by a group of soldiers and is forced to march right, look to the left quickly to find the Whistle on the ground. Letter from a Tunisian Soldier - Partway through the march Freddie and company will be dumped into a pit by an unstable girder. Walk left after falling to find the Letter, beside some bashable debris. Coloured Pennant - At the very end of the level Freddie and a bunch of other soldiers will wind up in a three-storey bunker. Climb into the basement via the ladder on the bottom floor to find the Pennant. Trench Shovel - Found shortly after you start running into smoke vents that will kill Emile if he passes while they're active. Check the left side of the dirt passage as you descend for the Shovel, buried in the grime. Concert Programme - Dig all the way to the bottom of the fort's foundations. There will be a small, extra pit of dirt to unearth before you set foot in the fort. The Programme is in the dirt. Empty Wooden Chest - After taking out the soldier keeping watch over the stove that powers the smoke vents, climb the nearest ladder and look in a locker at the top. German Ring - While playing as Freddie, shortly after scaring away the soldier with the flamethrower, you'll enter a hallway with two side rooms. Check a locker on the second floor of the first room to find the Ring. Gas Stove - In this same hallway is a room watched by a guard who turns the opposite direction periodically. Knock him out and slip inside. A locker in here contains the Stove. Blueprint - After jumping back to Emile, dig your way into the fort from above. After entering a gun emplacement and emerging in a hall full of red lights, look to your left to find the Blueprint.